While my blog is far from a style blog, I do like to share my fashion and beauty favorites from time to time. Why? Well, because I like to *see* what others use and rave about, so I thought I'd share some of mine. I'm still in red hot love with my Clarisonic Mia2 (I really don't know how I lived this long without one) and my Purity cleanser by Philosophy. I still use Cetaphil cleanser from time to time but discovered Purity seems to get my skin cleaner. 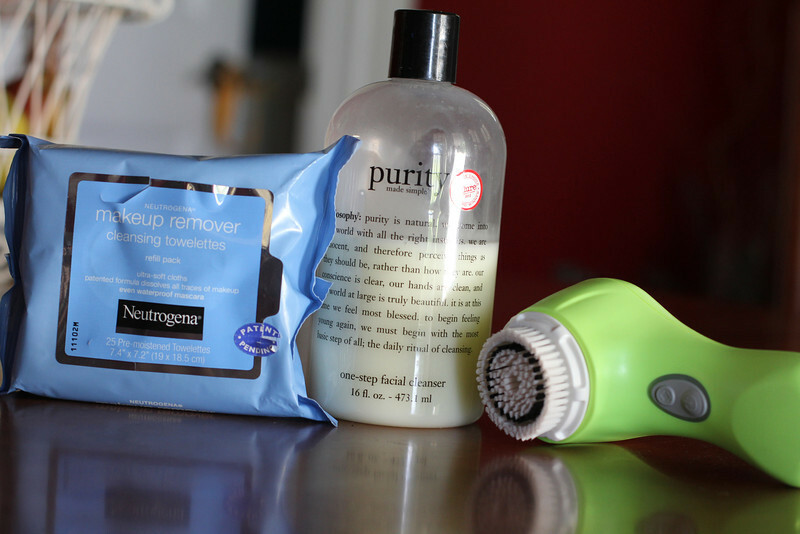 I used these Neutrogena facial wipes on our recent trip to remove my make-up before using my Clarisonic. They made things much easier! I use Hope in a Jar by Philosophy as a night time moisturizer. 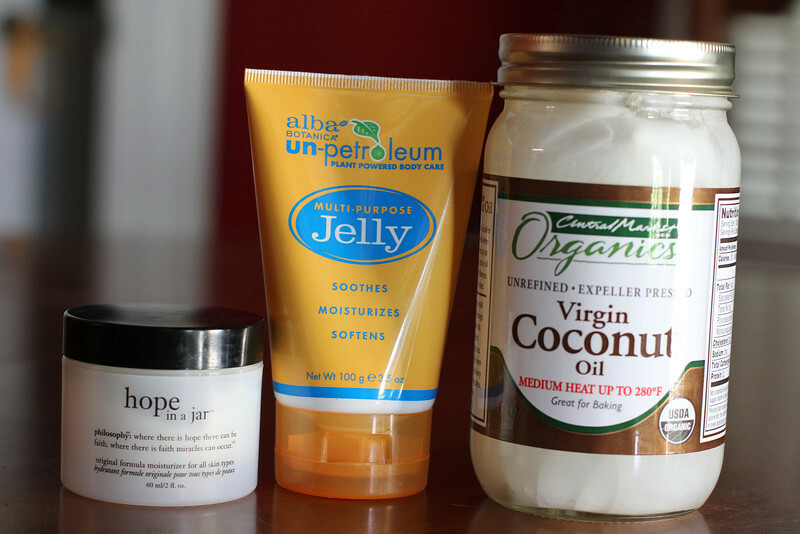 I sometimes use the Alba jelly or the coconut oil as a makeup remover and moisturizer. I picked up this NYX pore filler from Ulta and really like how it smoothes out slash fills my pores around my nose. I've been curious to try L'Oreal Miracle Blur, it's supposed to smooth out pores and wrinkles. Have any of y'all tried it or another primer y'all love? I've been using these Korean Super BB creams (ordered from Amazon) for the last few months and have been really happy with their coverage, more so than the other drugstore brands I had tried. I've only recently started using a setting spray at the end of my make-up routine, figuring in this heat and humidity I need all the help I can get to keep my make-up from completely sliding off my face. It feels strange to spray something wet on your face to help your make-up last, but it somehow works. Think of it as hairspray for your face. I've heard raves about the MAC setting mist but this NYX was much cheaper. I'm still a fan of Laura Mercier mineral make-up, it's not too heavy yet gives a nice coverage. I usually mix the shades Real Sand and Natural Beige together. My favorite concealer of late has been the NYX high definition concealer but I sometimes grab the Boi-ing by Benefit or Bobbi Brown's concealer, it just depends which one I see first in my basket. The Maybelline Dreamlume concealer is more of a highlighter. I don't use it that often but when I do it's usually to brighten my eye area. Sometimes I put my concealer on before my foundation and sometimes I do it after and sometimes I skip it altogether. I don't always have a plan. Bronzer has become one of my must-haves, like a desert island essential thing, for a hint of color and more importantly contouring. I usually apply bronzer below my cheekbones, temple/forehead and under my chin/onto my neck. 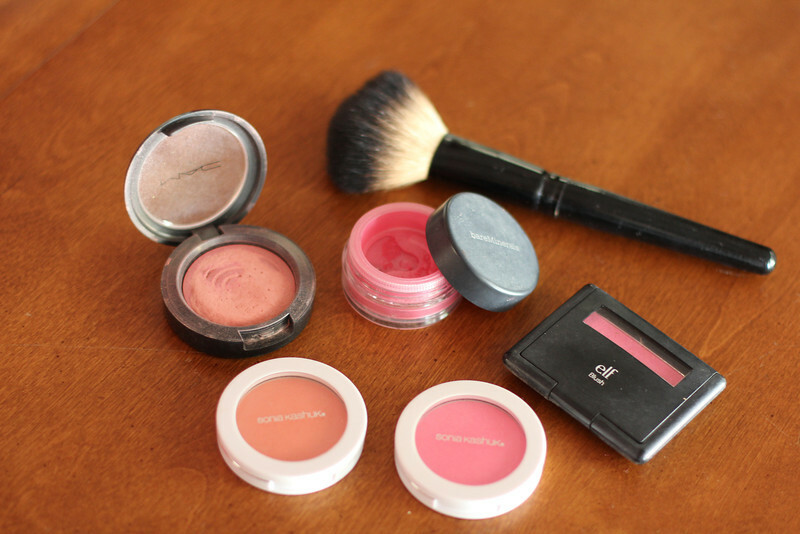 My favorite is MAC Blunt, which is actually one of their blushes and not a bronzer specifically. It's not too dark or orange-y and has no shimmer, which is what I prefer (shimmer tends to accent my wrinkles and other imperfections, I think). 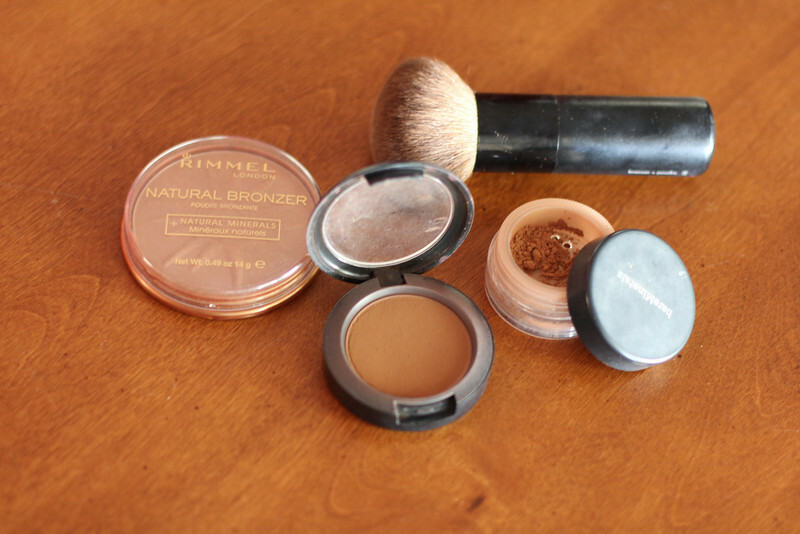 I also switch things up occasionally with either Rimmel bronzer in Sun Bronze, which is a nice drugstore alternative or my good old Bare Minerals warmth in Faux Tan Matte. If you've never tried bronzer, you absolutely should, it's a total game changer. For a year or two I used MAC blush in Dainty (top left) and was only so-so-meh-happy with it until I realized that scary bright blushes can actually be my friend (and yours). I stepped out of my conservative box last year by trying Bare Minerals blush in Fruit Cocktail. Lovely shade but a bit messy as almost all Bare Mineral products tend to be. My next step into brightness was ELF blush in Pink Passion. I loved that color! I know, it's scarily bright but trust me, total game changer. Plus? It was only like $3.00 at Target. You can't lose! These last few months though my heart, and my cheeks, have belonged to Sonia Kashuk. I picked up Flushed (the hot pink) (trust me, you can wear hot pink, you can) and Sunset (the coral-ish one) and love them both, although I've surprised myself by reaching more often for the Sunset lately. Brighter blush, applied to the apples of your cheeks--with a semi-light hand--makes you look more alive and brightens up your whole face. Try it! This summer I've been totally smitten with these Maybelline Color Tattoo pots, so much so that my MAC eyeshadows are highly jealous. 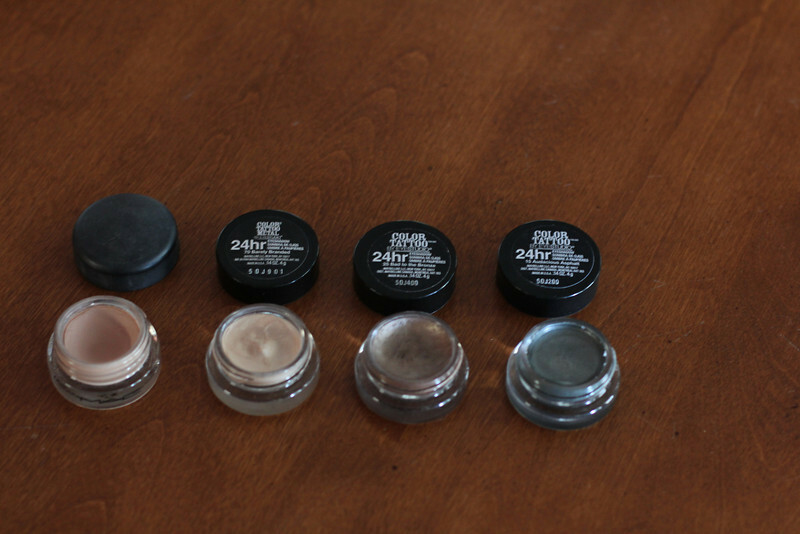 I use a dab of MAC Painterly Paint Pot (far left) as a primer, followed by Barely Branded (pearly beige) on my lid, Bad to the Bronze in my crease and just up my brow bone and then a tiny dab of Audacious Asphalt (the smoky grey) in my outer corner. I apply these with my finger and the colors blend well together and are very long lasting. 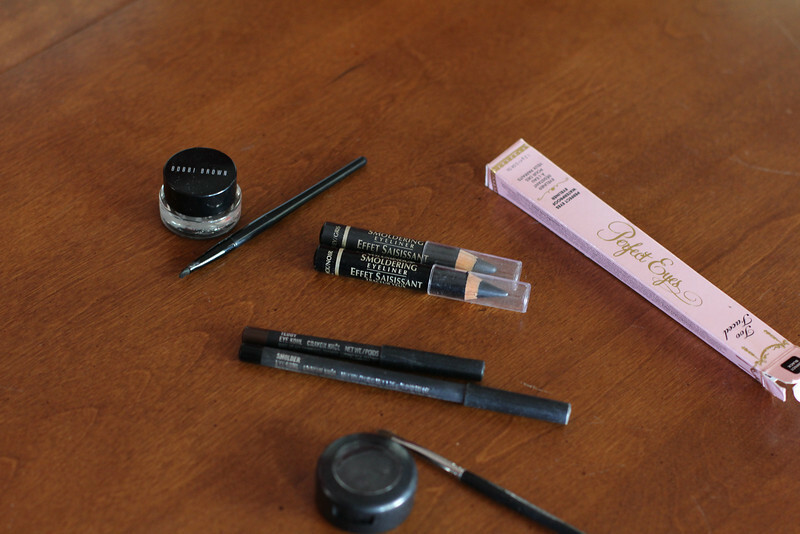 If I have time, and the inclination, my go-to eyeliner of late is Bobbi Brown's gel eyeliner. 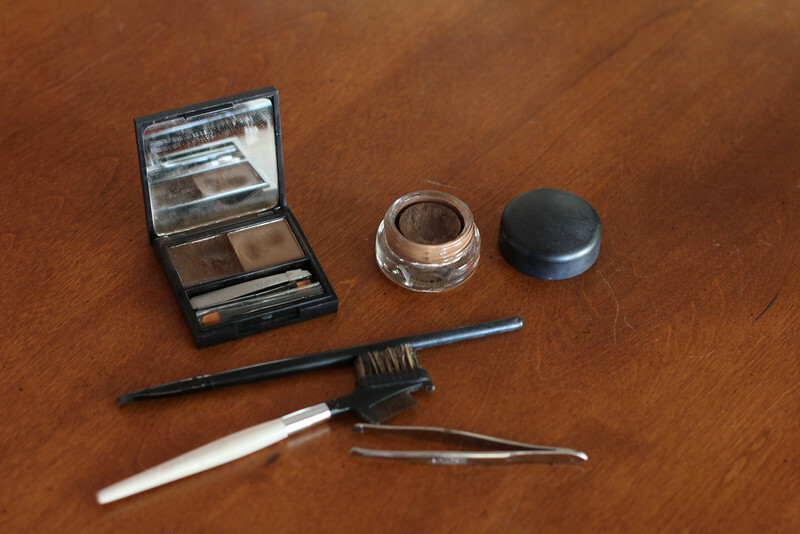 I apply it with a small brush, usually in an almost cat-eye style. If I'm in a hurry I'll grab one of my L'Oreal Smoldering liners (middle top), usually the one called Gris because it's not as harsh as the black. I really like these but have noticed that in the heat of summer they smudge a bit onto my eyeshadow, which, you know, bugs. The Two Faced Perfect Eyes liner (pink box) is GREAT, it's like a gel-liner in a stick that's blendable but then lasts for 24 hours. One end is the liner and the other end is an angled smudger for blending. The two other liners are by MAC, one in Teddy (a nice bronze-y brown) and Smolder (a charcoal black). I like these but they are a bit too smudge-y for the summer (they're kohl pencils). Sometimes I use a powder shadow as a liner or to reinforce a kohl liner against smudging. This pot is MAC Charcoal and I use a small angled brush to apply it. This is my current rotation of mascaras. 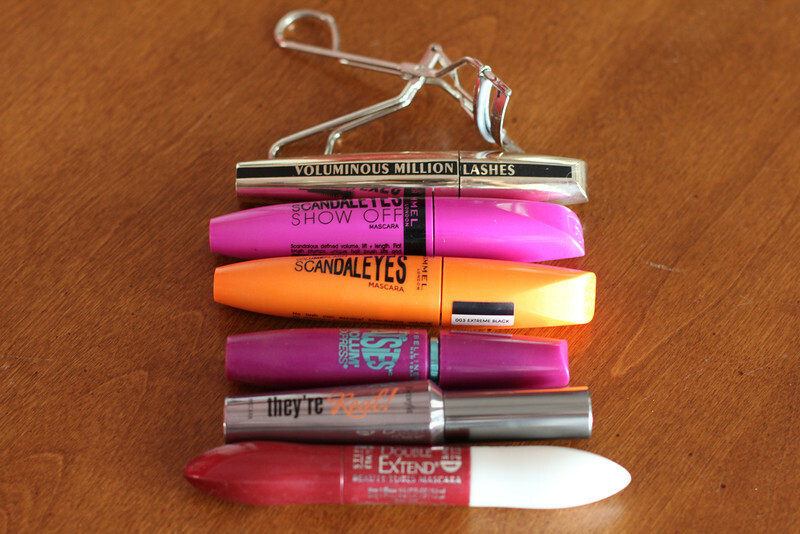 I like for my mascara to add volume, a bit of length and of course color. I don't like to use waterproof mascara unless I'm going to the beach or pool, I've never liked the waterproof formulas and I like for my mascara to wash off easily. I like all of these but none are my absolute-can't-live-without-picks. I tend to grab the L'Oreal Voluminous Million Lashes (gold tube) or one of the Rimmel ScandalEyes, although the Show-off (pink tube) tends to smudge onto my upper lids in this summer heat, so while I like its coverage, I don't like the smudges. Benefit's They're Real works pretty well, at least for length, not so much for thickness, but it's really hard to get off. So I guess I'm still on the hunt for an Oh My Goodness mascara, as always. Over the last few years I've gotten hooked on filling in my brows, which is not a bad thing seeing as they have gotten more sparse over the years. 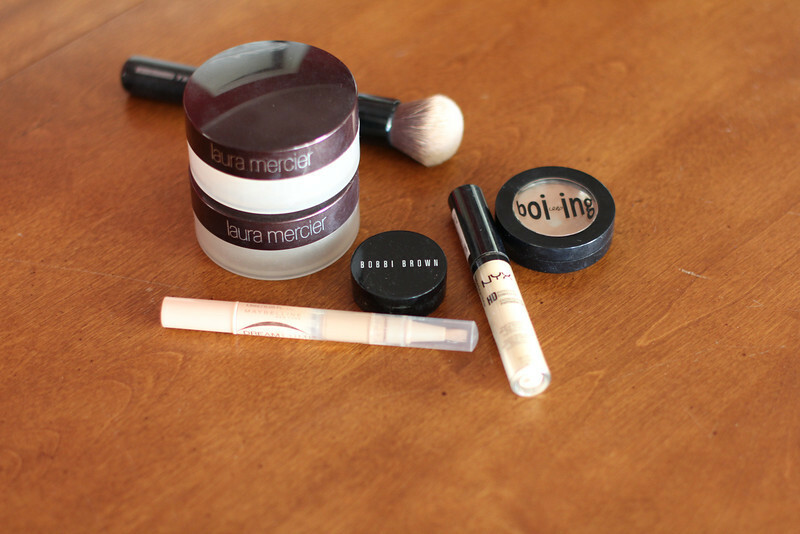 I alternate using Benefit's Brow Zings (top left) in Medium Brown or MAC Paint Pot in Quite Natural. I'd like to try one of Anastasia's brow kits but haven't broken down and bought one yet. 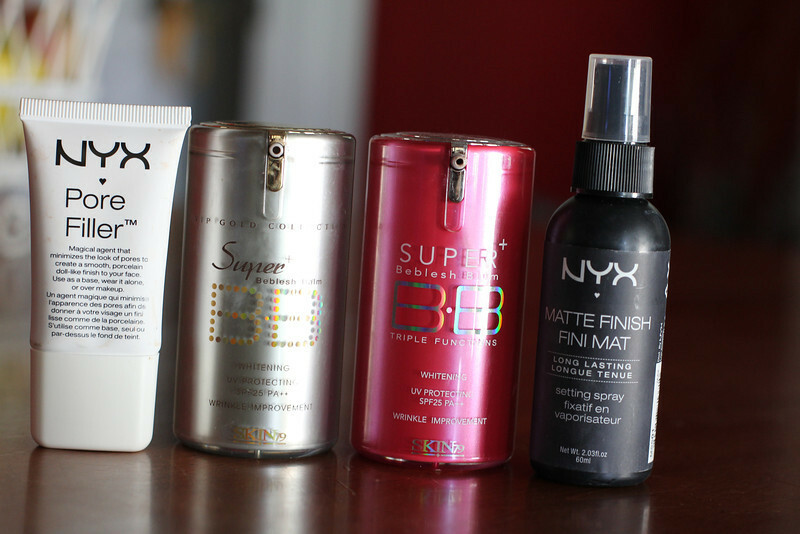 From the left, my favorite hair spray followed by my two current favorite dry shampoos. Dry shampoo is my BFF y'all. 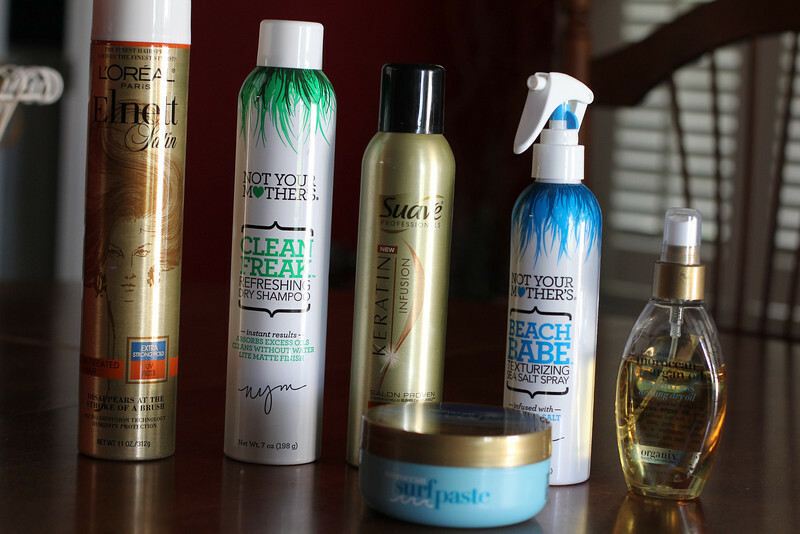 A new favorite is this Beach Babe sea-salt spray. Y'all. It's awesome! After I curl my hair I gently run my fingers through the curls to loosen them up into messy waves and spray them with the sea-salt. It gives this amazing texture and separation and just the right coating to help my curls look messy and imperfect, which is what I'm aiming for. I also like the Moroccan Surf Paste for beachy waves. The Moroccan argan dry oil is great for adding shine and taming frizzies. Okay, there you have it, my current favorites plus some trusty stand bys. What are some of your beauty must haves of late? Do tell. Try Flower mascara. The brush rotates. It may just be the perfect mascara. I haven't hard of that, thanks! When it's time to replace your Benefit brow product, try ELF's version. For $3, it's worth a try, and I'm super happy with it. Thanks for the tip, I've liked the ELF products I've tried so far, so I bet their brow combo is great.